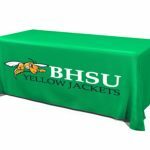 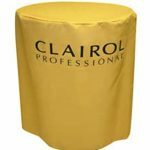 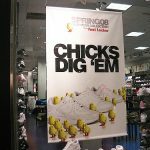 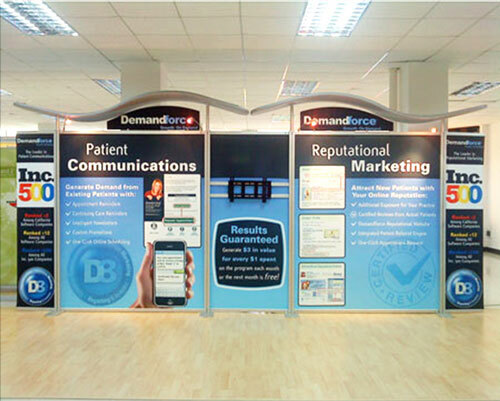 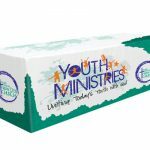 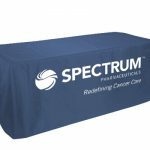 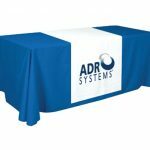 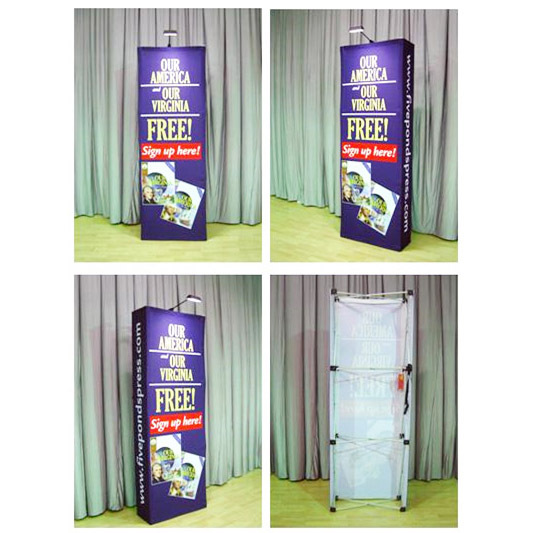 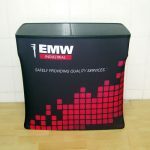 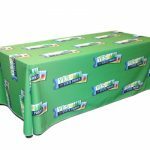 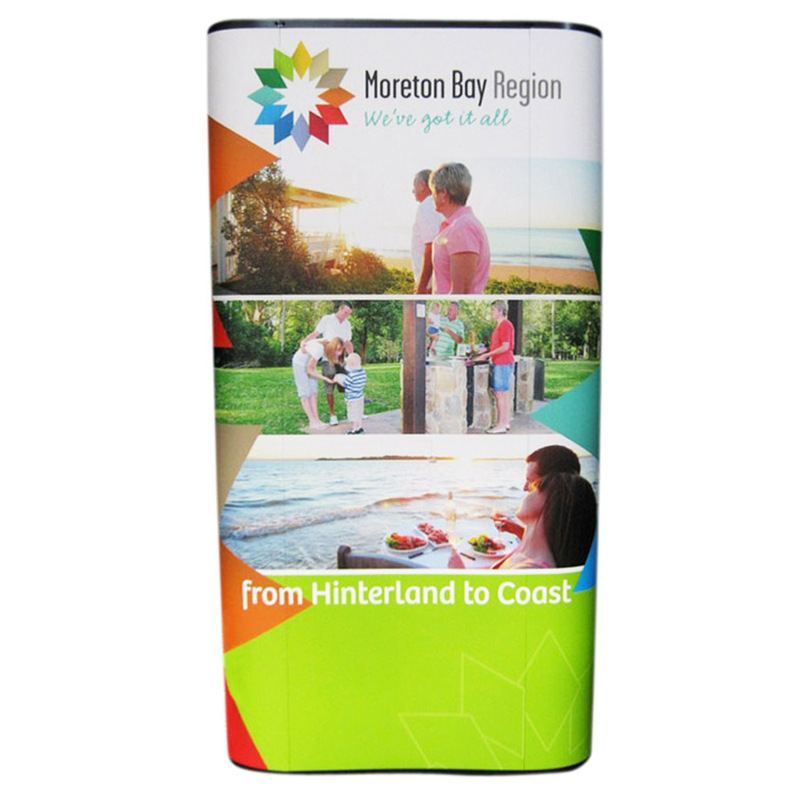 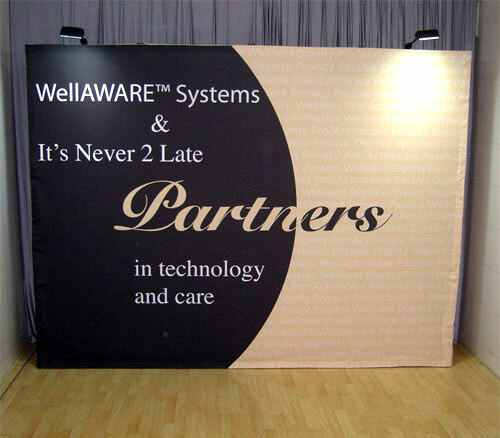 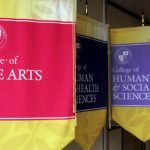 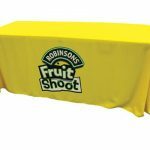 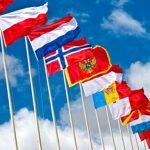 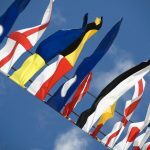 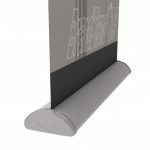 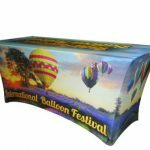 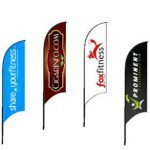 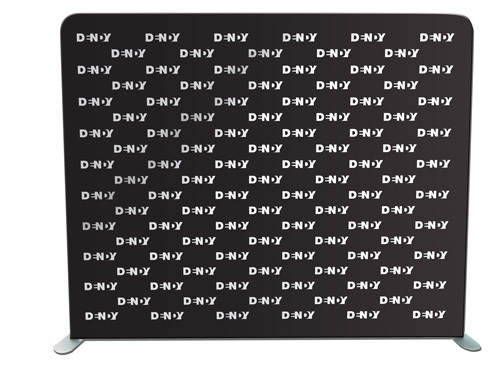 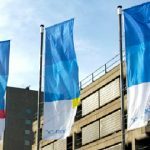 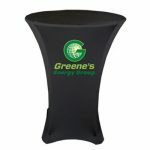 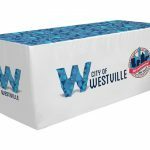 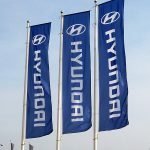 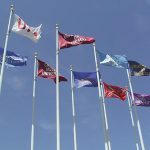 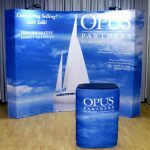 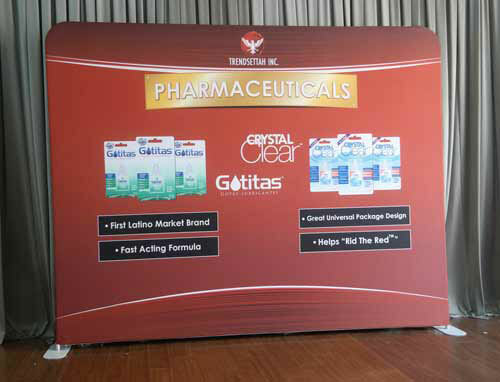 Using a onefabric display is an effective way of raising public awareness about the products and services your company offers. 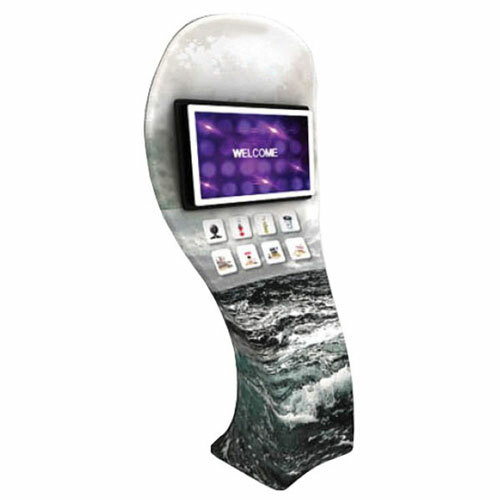 These onefabric displays are a common sight at shopping centres, where your local audience flock to buy their goods. 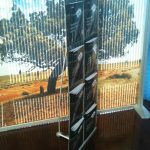 With your displays prominently in place, you take advantage of the buyer mindset your target customers inevitably have when they are shopping centres and influence them to at least check you out. 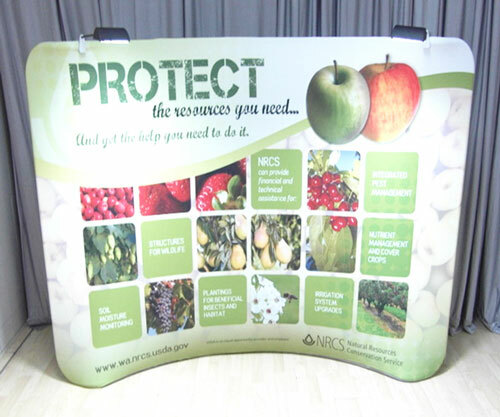 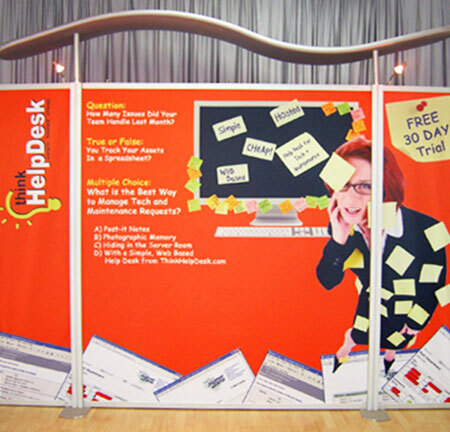 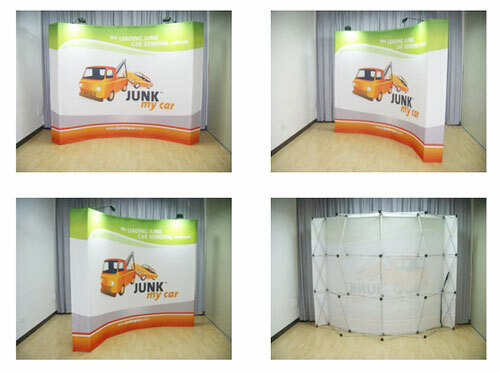 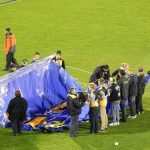 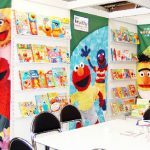 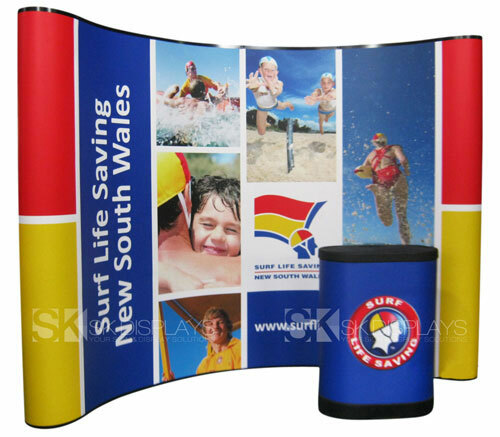 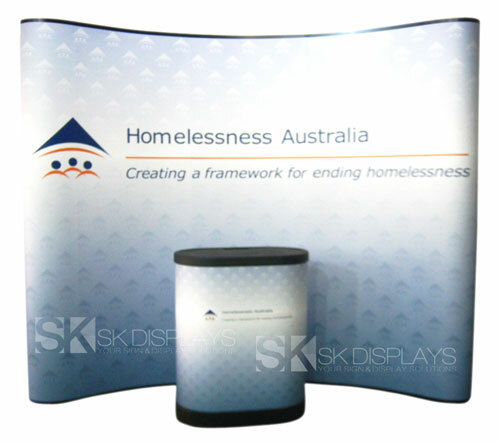 Our onefabric display in Melbourne is a 2×4 curved pop-up fabric wall set consisting of a curved frame with an attached fabric graphic. 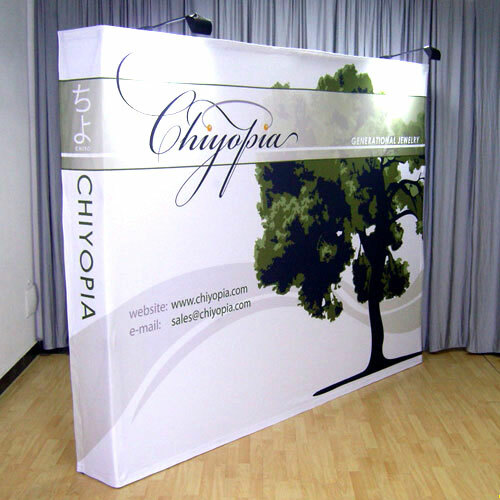 The dimensions are 2900mm/W x 1524mm/H, standing two cubes by four cubes. 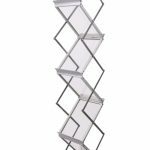 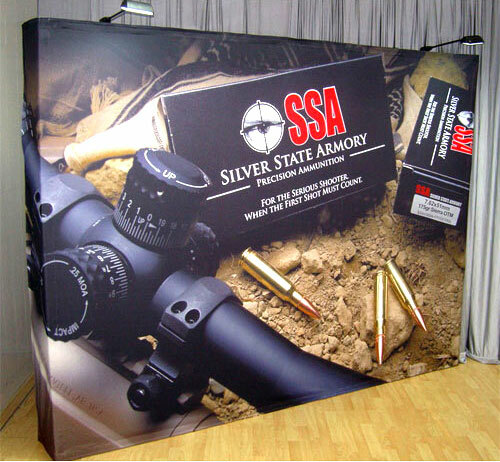 The frame has a silver finish, giving your display a sleek and elegant look. 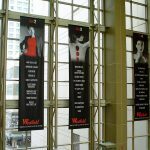 This is the most common size of fabric walls found in shopping centres. 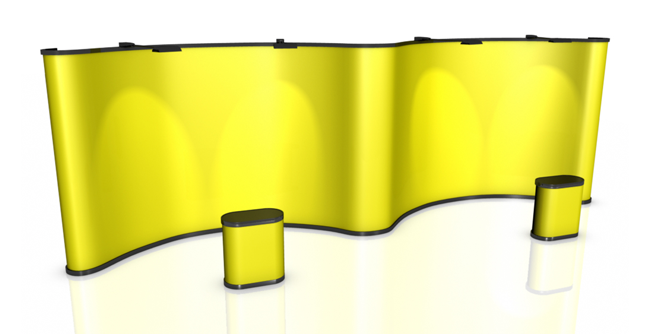 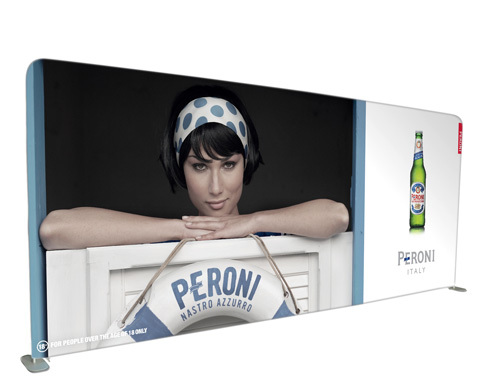 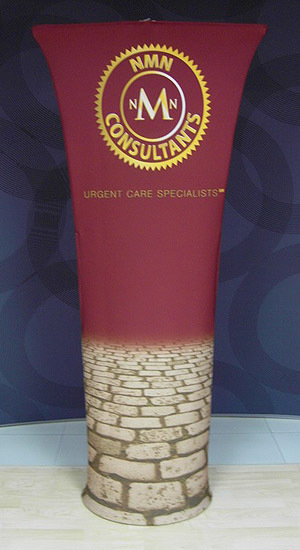 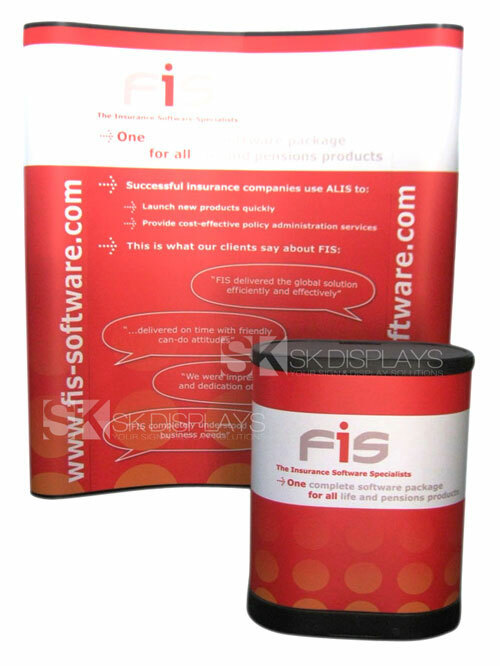 The 2×4 curved fabric wall graphic is rendered in full colour. 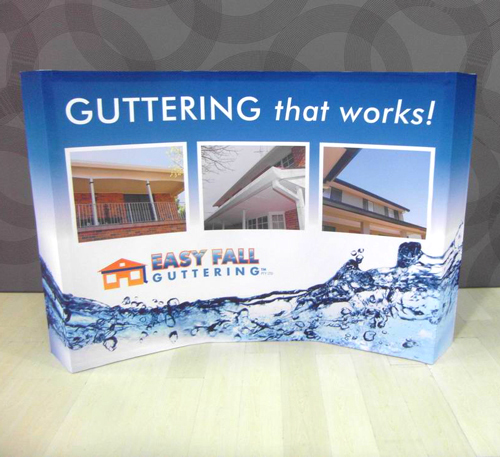 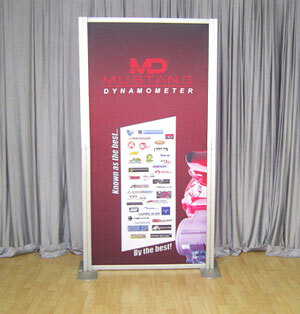 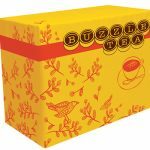 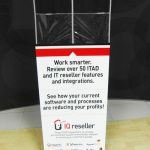 You can order it single-sided, but most customers prefer the double-sided graphic that wraps around the frame. 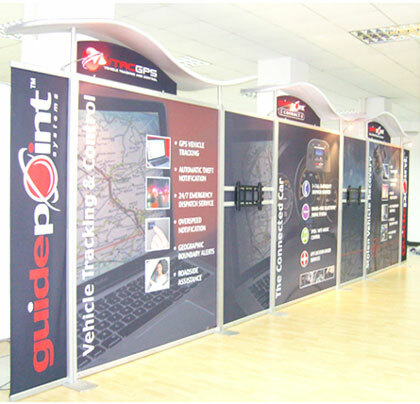 This maximises the impact of your display regardless of the space it occupies at the shopping centre. 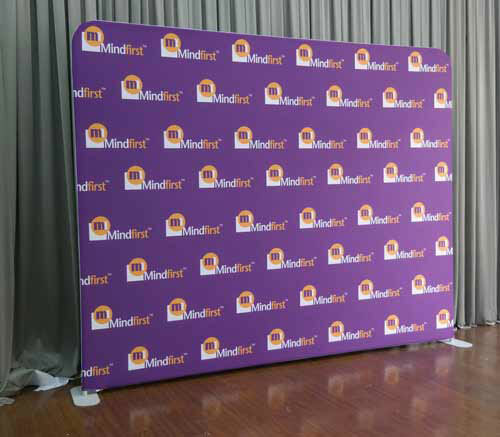 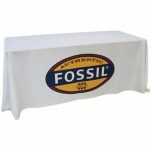 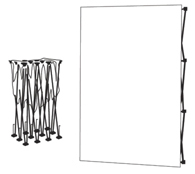 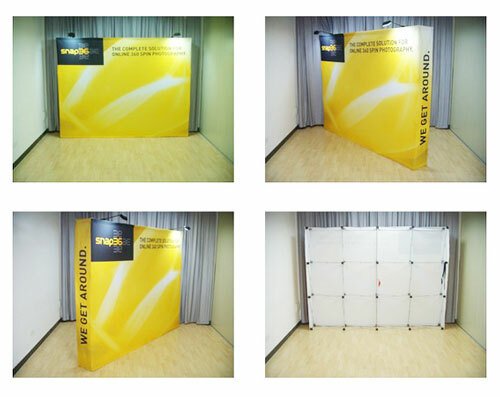 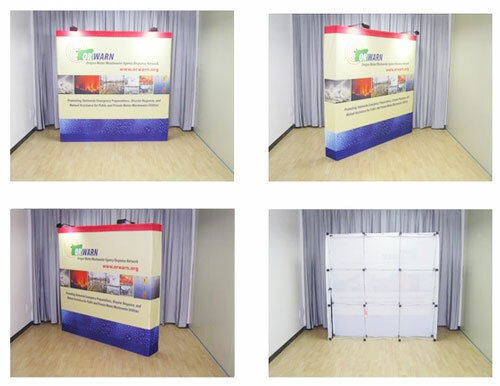 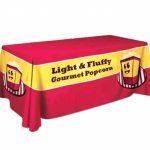 Moreover, if you need to put up another 2×4 onefabric display, there is no need for you to order a new fabric wall set. 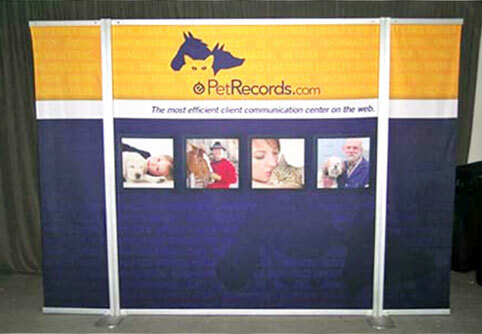 Simply order a new fabric graphic, strip the old graphic from the frame, and attach the new one in its place. 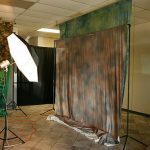 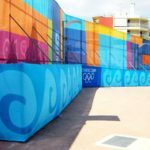 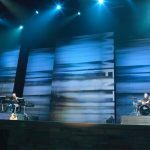 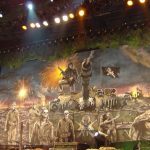 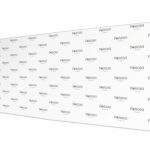 To enhance your display further, you can order an optional pair of halogen lights designed to work with this kind of fabric wall. 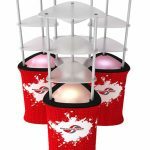 These lamps will serve as spotlights for your display. 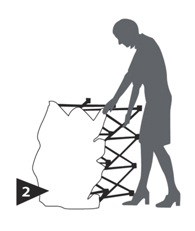 Also included in the package is a convenient carry bag. 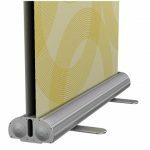 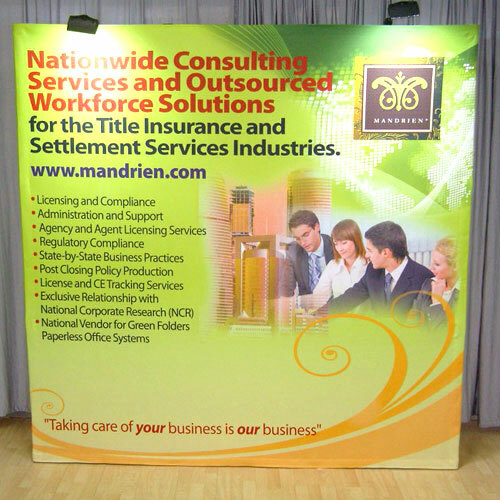 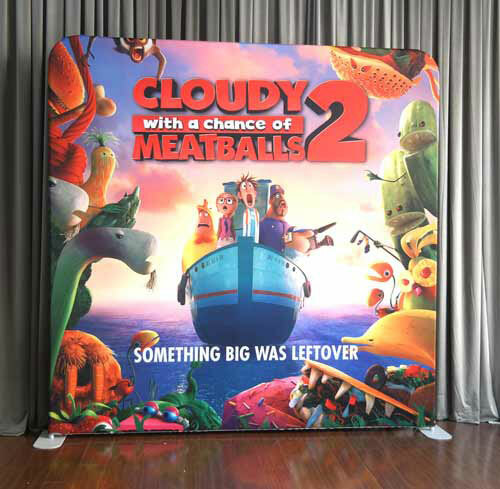 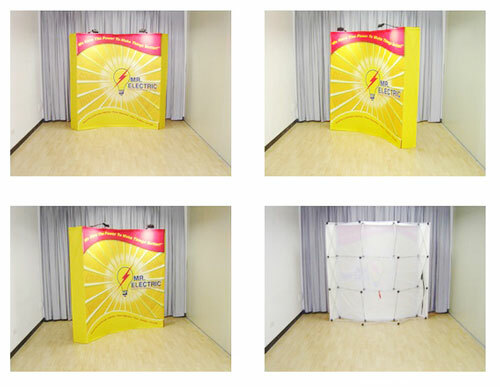 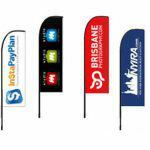 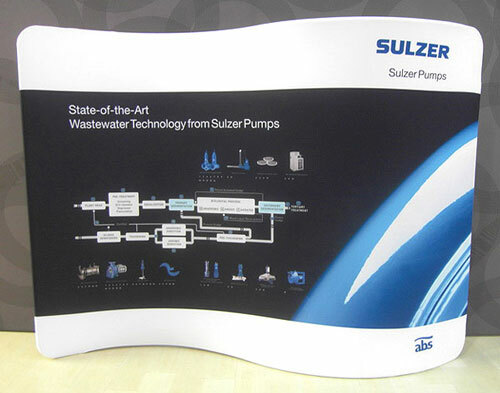 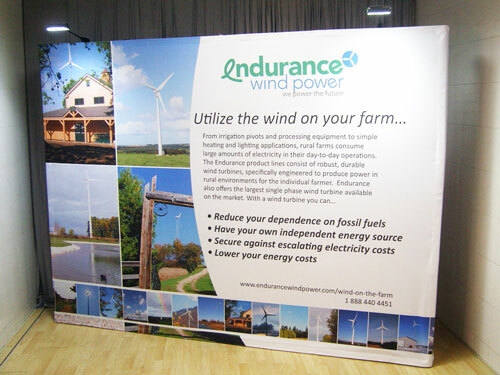 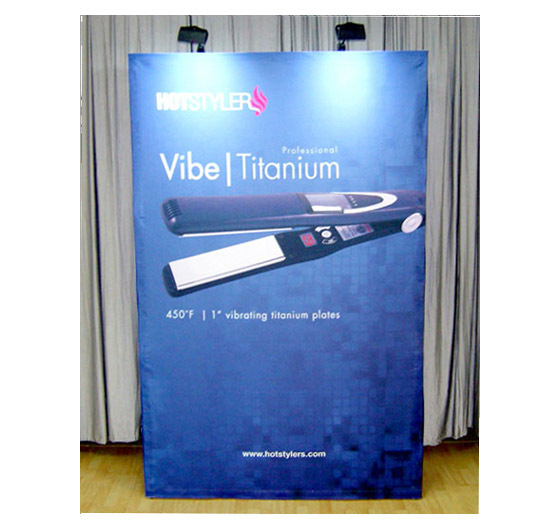 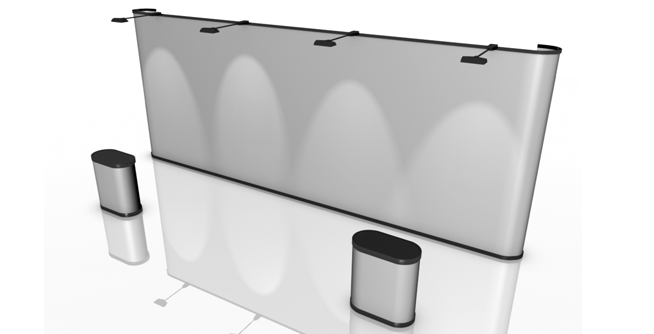 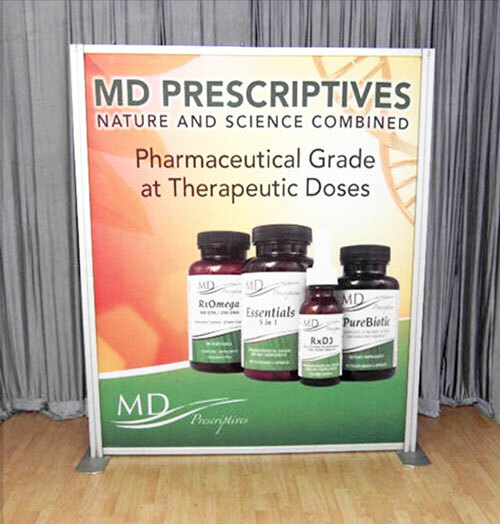 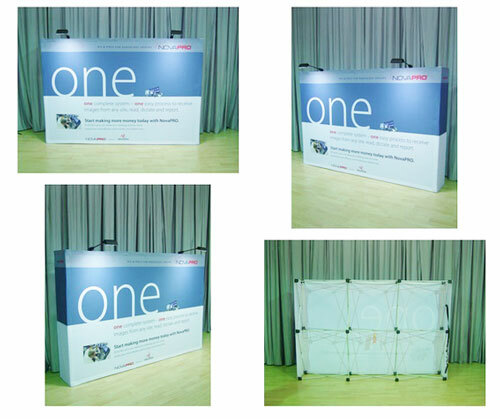 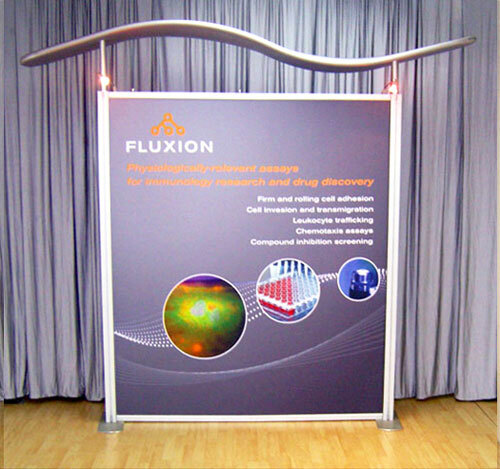 Our onefabric display may be big, but it installs quickly and easily. 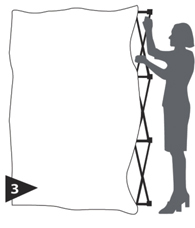 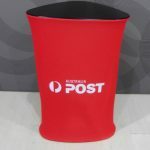 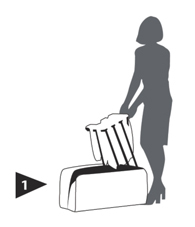 All you have to do is to take it out of its carry bag and pop it out so it stands in its full height and width. 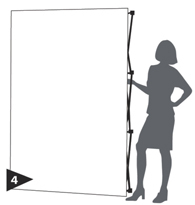 And then, let out its feet and attach the hooks behind the frame so it stays stable and secure. 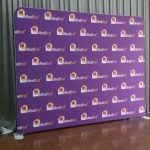 After that, smooth the fabric over the frame and fasten it in place with its Velcro strips. 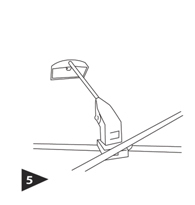 The entire procedure takes less than five minutes to complete. 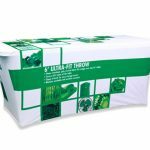 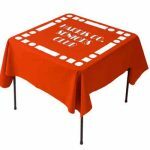 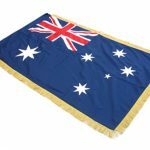 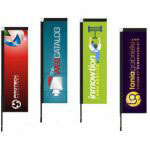 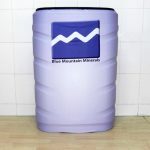 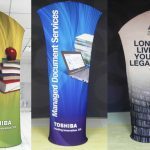 You will get real value out of your investment when you use our onefabric display. 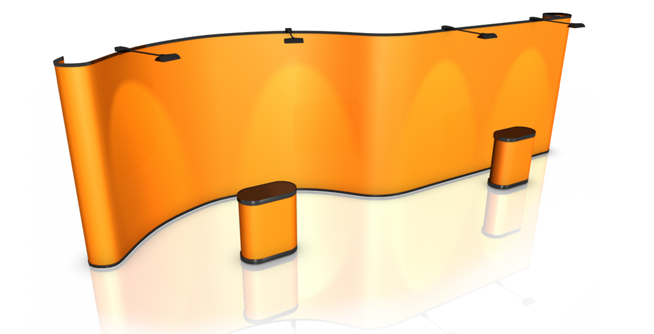 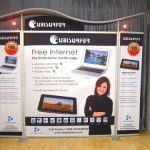 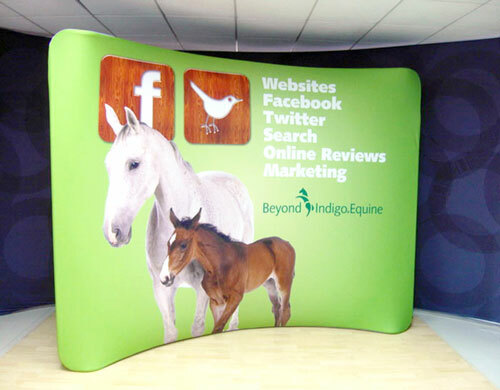 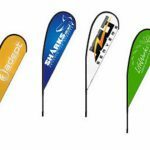 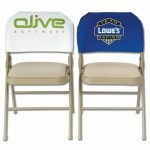 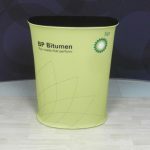 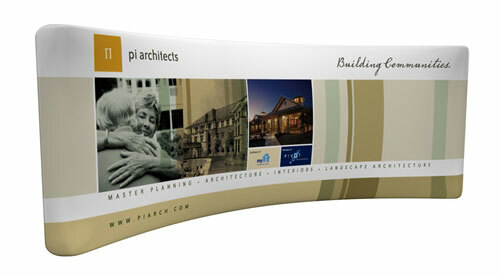 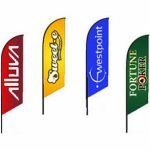 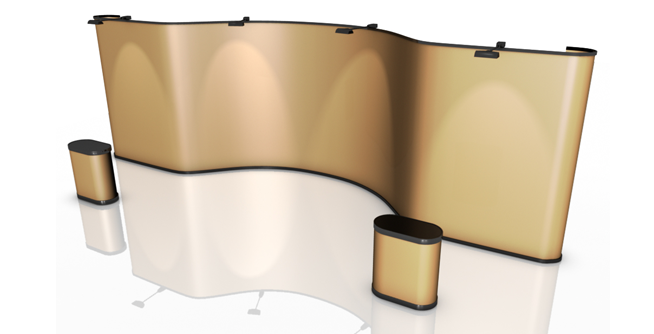 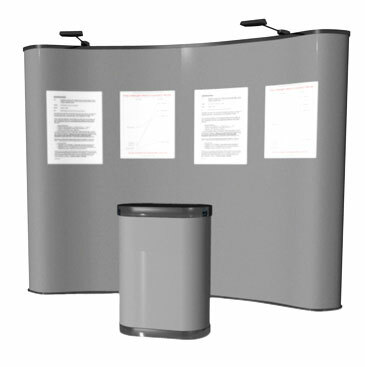 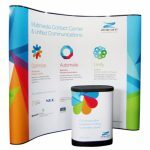 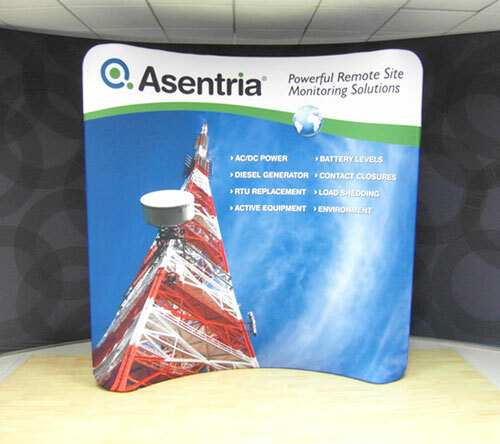 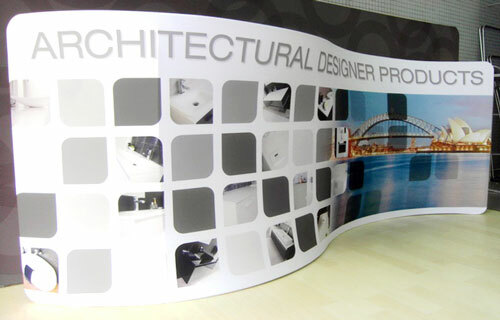 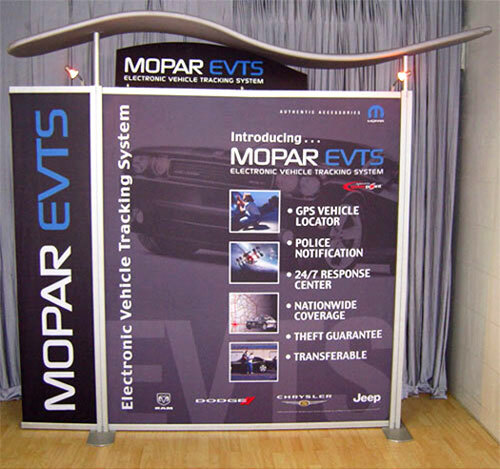 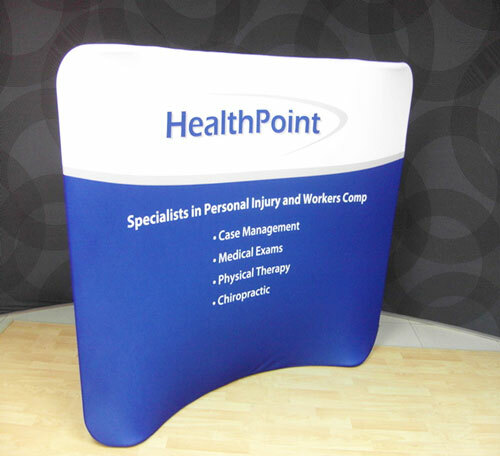 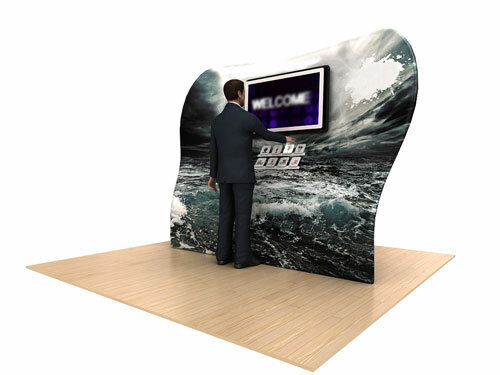 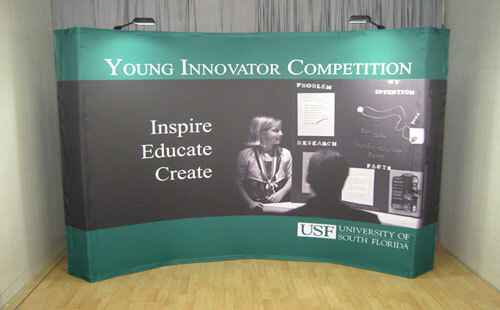 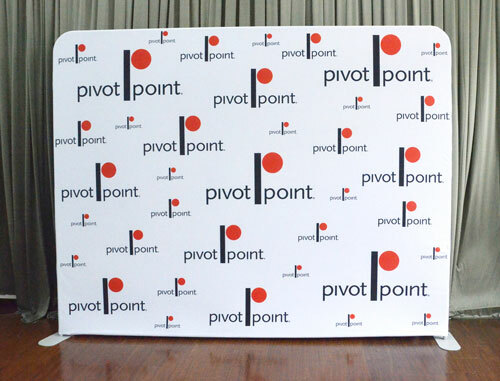 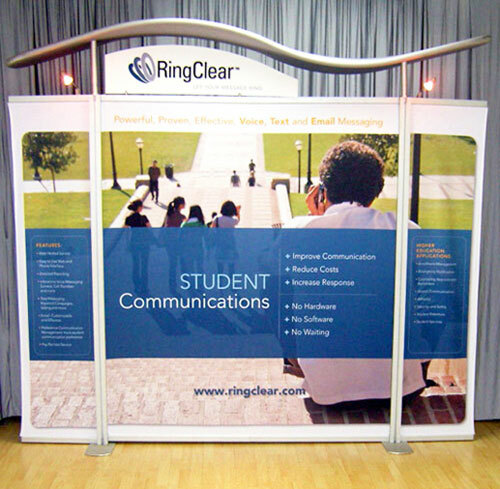 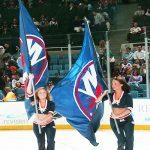 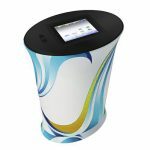 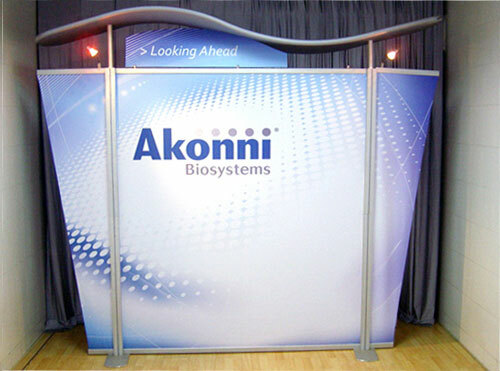 Call us right now to learn more about how these curved fabric wall displays can help your business.